And now – as if by space magic – I’m being thrown straight back into Star Wars again. 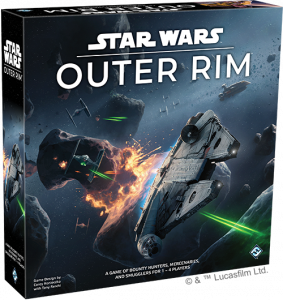 Another game in the genre of Firefly, Merchant of Venus, or Xia: Legends of a Drift System – Star Wars: Outer Rim sees players competing to be the cream of the galaxy’s scum and villainy. Flying around space, smuggling goods, hiring recognisable crew members and reasonably frequently rolling some dice. Quinns: I think so too. 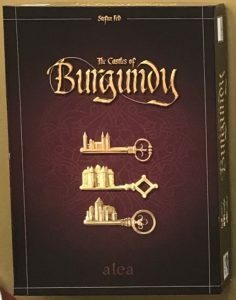 I’ll try and update the game’s BGG page so that Matt Lees is the listed designer. 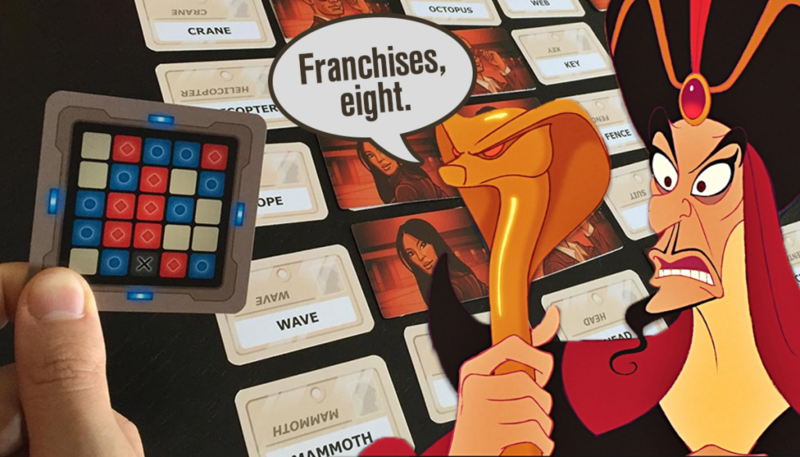 Matt: I must say I’m a fan of the fun framing here, which sees you slotting cargo and upgrades and crew into the different parts of your player board spaceship – a mechanic which proved inordinately thrilling in that game which had a tiny prawn on the box. You know, the one where the aim of the game was to make crabs extinct, for money? Quinns: Captains of the Gulf, which we talked about on podcast #89! Yes. Come to think of it, Captains of the Gulf is a good example of what I’d like to see in future games in this genre of “customising your space cargo ship and doing missions”. Too often, these games see player interaction being limited to you interfering with one another. “I fulfilled the mission you wanted”, “You bought the cargo I needed”, “He shot me up the bum with a laser,” etc. Captains of the Gulf instead saw your opponents being the most exciting factors in an economic ecosystem, where every little play your friends make created more game instead of taking it away. It meant my friends were interesting, rather than just roadblocks to my fun. Matt: If you’re a fan of red buildings, it’s time for a treat! Quinns: Ooh daddy! 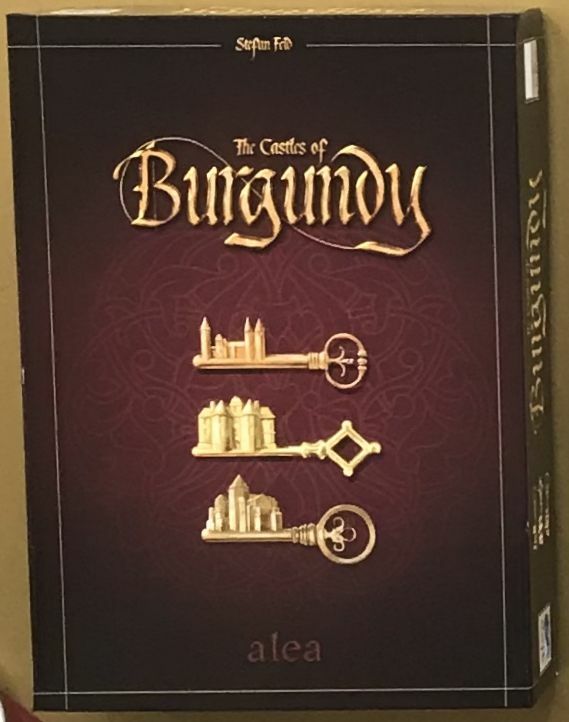 After seven years of people asking Alea to publish a version of The Castles of Burgundy that didn’t look like – allow me to quote our review here – “the lovechild of a maths textbook and hotel room art”, we’re getting a new edition! 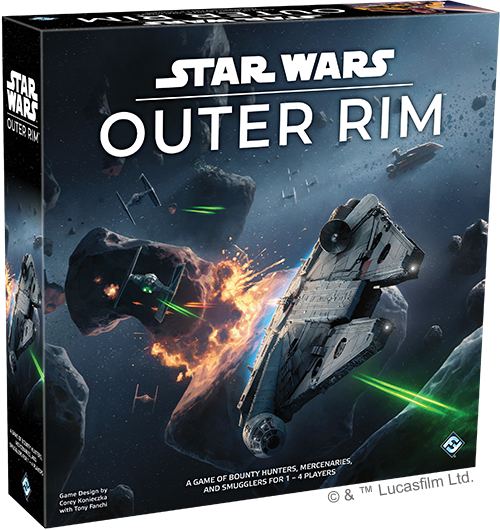 All we know at the moment is what the box art will look like (pictured above), and that the new edition will allegedly contain every expansion released to date, plus a brand-new one. Soon, Matt Lees, you too will know the joy of putting a cow hexagon next to another cow hexagon. Matt: Super Punch Fighter looks like a pleasingly dumb homage to oddball arcade fighting games from the 1990’s, complete with unlikely characters, over-the-top moves, and an emphasis on wild combos sprouting from bold circular plastic buttons. It’s a shame that the theming didn’t go full Salty Bet (a hacked mashup of every fighting game ever), but solid art design and a silly theme tend to go a long way towards piquing our interest – or at least they used to. The fact is we’ve had such a rough run of disappointments when it comes to the designs that Plaid Hat have been putting out, for now we’ll actively be doing our best not to get too excited by their excellent aesthetics. Quinns: The big expansion for Richard Garfield’s supernaturally charming Bunny Kingdom is almost upon us. Bunny Kingdom: In the Sky will offer an additional side-board so that your bunnies can lay claim to the very clouds themselves. What I love about this board is that while the clouds will offer various saccharine industries for you to make use of, like a unicorn paddock and ice cream mines, it’ll still offer the main board’s resources of logging, fishing and carrot farming, but in the clouds. There’s something about that which I just adore. Taking a look at this high-res image of the board, it’s one of the most fun boards I’ve ever seen in my whole weird career spent looking at board games. Matt: I think Bunny Kingdom might actually be great? 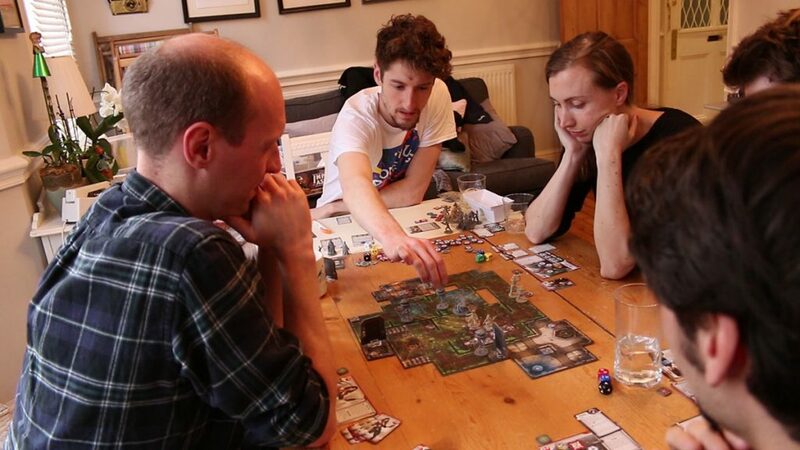 We only played it once, and we were very tired, but the more I think about it, the more I suspect it might actually be brilliant? Quinns: I have fond memories of it too! I’d totally play it again. But the fact is, our response after playing it “That was good, but not great,” which is mirrored by a lot of other reviewers. But yeah, to heck with logic, I’d totally play it again! 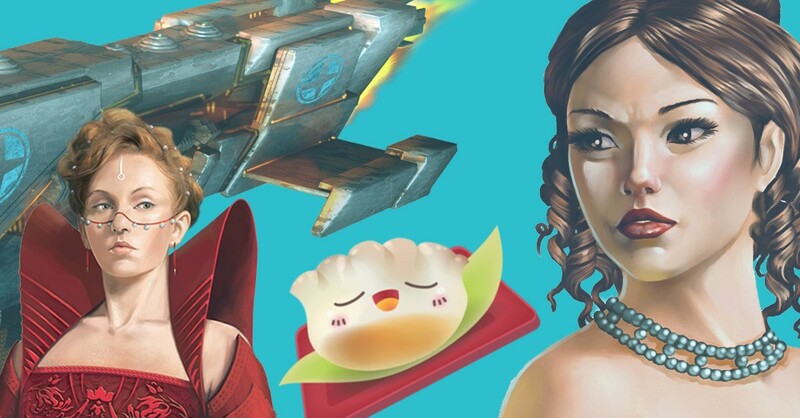 Quinns: We’ve got a few Kickstarters for you this week. The first isn’t one I’d necessarily suggest you buy, but I wanted to chuck a link to Terror Below by prestigious publisher Renegade because it’s just absurd. 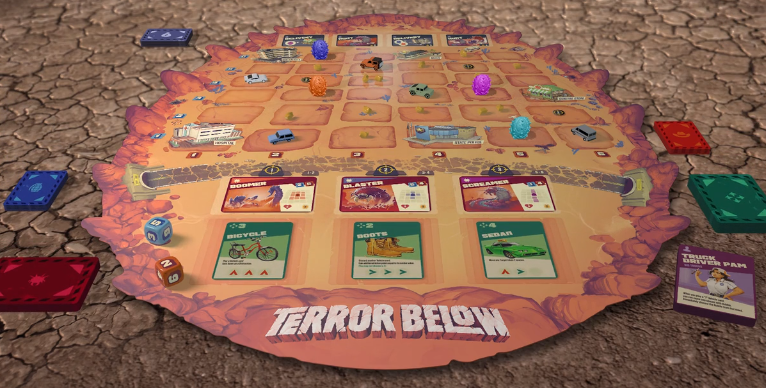 Matt: Is this… an unofficial board game based on the 1990s film Tremors? Quinns: Yes. Although technically it’s based on the Tremors franchise, since the original movie spawned five direct-to-video sequels and a hastily cancelled TV series. Which is to say nothing of the tremors fan community among millenials, who refer to themselves as Tremorers. Matt: You’re lying to me now. Quinns: One of Paul’s last acts in his seven year tour of duty on Shut Up & Sit Down was to talk on podcast #87 about an out-of-print deduction game called The Shipwreck Arcana. 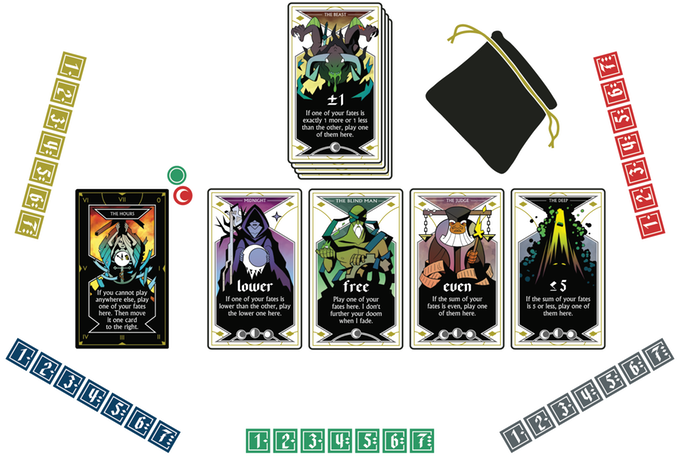 Well SLATHER MY CRUMPETS, because The Shipwreck Arcana is back on Kickstarter, together with a mini-expansion of extra cards. Certainly, it’s every bit as good-looking as Paul suggested. If you’re interested in a quiet, co-operative game in a svelte box, this could be one to check out. Matt: The Kickstarter for Wavelength has arrived. This was one of my personal highlights of last year’s SHUX – a game in which teams must attempt to “become psychic”. 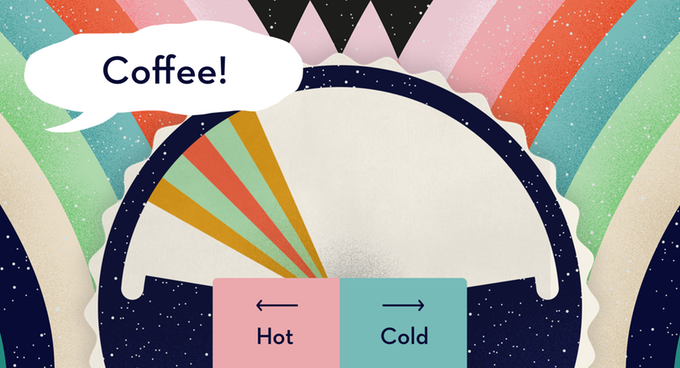 Presented with a dial that pits two concepts as different ends of a spectrum, one player is then secretly shown an exact point on that scale they need to guide their team towards by giving them a single verbal clue. It was naturally a format that worked wonderfully for a funny live show at our convention, but more than that I was pleasantly surprised by the depths of the conversations that Wavelength led to. Trying to guide my team towards the rough centre-point between “Sci-fi” and “Fantasy”, I chose a clue of Star Wars – leading to a brilliantly interesting debate about genres that threatened to derail the show completely. And importantly, when Wavelength works it really does offer the same sensation as The Mind – perhaps unsurprising considering it’s a collaboration between the Monikers team and Wolfgang Warsh, but an achievement not to be sniffed at, regardless. The only real complaint I had about the game’s design seems to have been ironed out since I tried it last year, and the final style and box art they’re going with is some of the most effortlessly cool stuff I’ve seen in years. I can’t wait to pop a highly visible copy of this on the shelf underneath my coffee table, I reckon it’s going to be a fabulous treat. Quinns: Finally, we’ve a fun announcement for you! 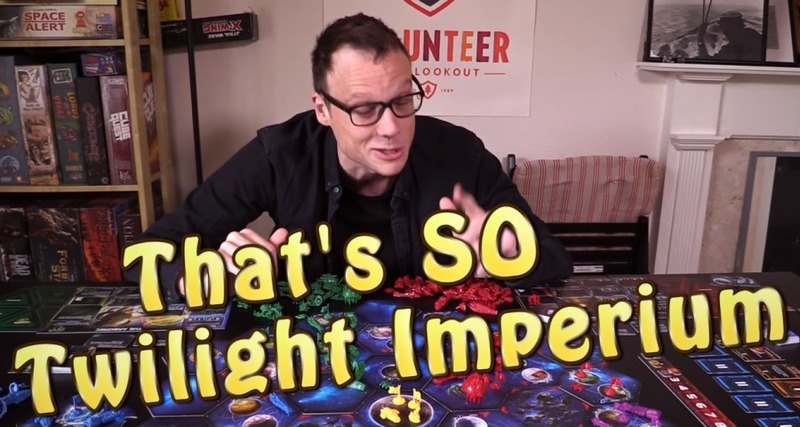 On Saturday the 23rd of February we’ll be doing our biggest stream yet as we play Twilight Imperium with Elaine and Efka of No Pun Included. Matt: Oh gosh this one is going to be exciting. I’m pulling out all of the stops with our tech, and it’s possible I won’t be able to put the stops back where they came from afterwards. Pop it in your calendars! And click “Follow” on our Twitch page to get an email when we start streaming. As always, the game itself will be posted on YouTube later, but you’ll only get the full thing, together with our amazing commenting community, by watching on Twitch, either during or after the event. For example, right now you can find our playthroughs of SEAL Team Flix and Great Western Trail: Rails to the North, even though we haven’t uploaded them to YouTube yet.